Oh, Valentine’s Day. While this holiday of love brings people together and sets many hearts aflutter – it can also cause panic, anxiety, and stress when you don’t know what to get the one you love. But have no fear! 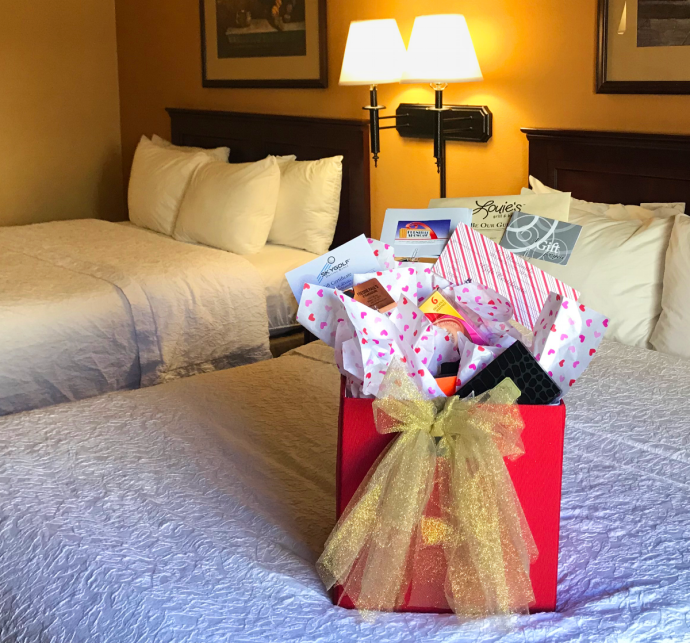 We have put together the perfect overnight getaway package that will sweep your guy or girl right off their feet. Keep reading to see all of the fun and enjoyment you could bring to your sweetheart all wrapped in one beautiful, golden bow! Our Valentine Packages include a one-night stay in one of the following hotels - you get to pick! And $25 gift cards to the following restaurants, retailers, and attractions - it&apos;s not just one gift, it&apos;s seven gifts in one! Don&apos;t wait too long and have to settle for a box of chocolates! Call us at 405-743-3697 to reserve your Overnight Package before they&apos;re all gone!